Walter & Elise Haas Fund has announced Zachary McRae has joined the team as its new Program Officer for the Education Program. Congratulations Zachary and welcome to the NCG community! Read the announcement below. 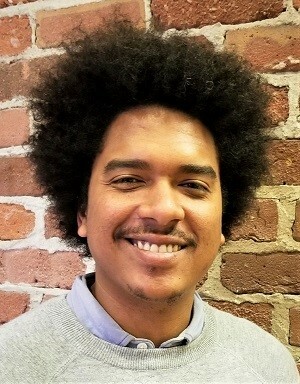 Please join us in welcoming Zachary McRae to the Fund as the new program officer for the Education program. Zach comes to us from The San Francisco Foundation, where he led multiple, cross-program initiatives as a Program Associate, including managing a $34-million community benefits agreement benefiting the Bayview-Hunters Point neighborhood. He also led a collective of nonprofit, affordable housing developers to pass anti-displacement policies in San Francisco and managed The San Francisco Foundation’s commitment to increasing resident engagement in the Northern Waterfront Economic Development Initiative in East Contra Costa County. Zach believes in the power and intellectual capability of all students regardless of their race, class, sexual orientation, gender identity, or place of origin. As such, he is committed to making the Bay Area an inclusive and welcoming place where all students can thrive. Zach is a proud San Francisco native and a graduate of the San Francisco Unified School District. He earned his Bachelor of Arts degree in Political Science from Ohio State University and he’s a Fellow with the New Leaders Council, San Francisco chapter.